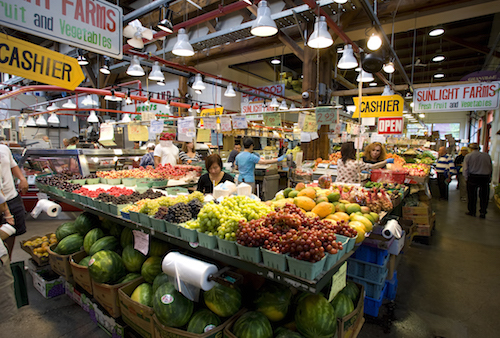 Continue to the enchanting sights of English Bay beach area, followed by the eclectic Granville Island Market. This artisan’s market embodies the ideal of smaller is better, with all food, art, and music locally produced, as a labour of love. Top off this adventure with a glass elevator ride 169 meters above the streets at the Vancouver Lookout, for views of the ocean framed by the lush Coastal Mountains. Enjoy views of the busy city and rugged shoreline! This tour is a great introduction to the scenic and historic highlights of beautiful Vancouver.